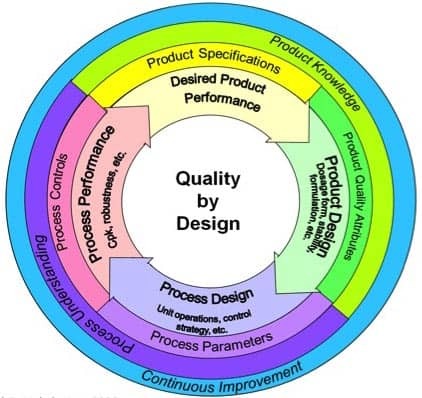 According to Joseph Juran, the term quality of a part (or product or component) should refer to the product features that meet customers’ needs and satisfaction, and to avoidance from deficiencies that would minimize the chance of failure of the part. To these desirable attributes, manufacturability, how easy and economical the product is to make, should certainly be added. Other desirable characteristics, not mentioned by Garvin, are safety, environmental friendliness, user friendliness or ergonomics, short time to market, and upgradability. If customers are satisfied with the product after, for example, a year of ownership and at least moderate use and would recommend it to other potential buyers, then perhaps it can be said that the product is of high quality. Other measures, such as whether it conformed to some specifications, whether it had an acceptable reject rate, whether it was made under ISO 9000 conditions, or whether the company producing it got the Malcolm Baldrige award are less meaningful, in the author’s opinion, than the customer’s evaluation. Customer satisfaction is the prime measure of product quality. Design is more responsible for the quality than anything else. The designers determine the number of component in a specific part/product, decide which are to be procured externally, design the rest of the components and specify indirectly how they can be manufactured, determine how the parts must be assembled, and specify the overall function of the components in the final assembled part. In other words, the designers largely influence the entire procurement, manufacturing and assembly cycles of any small part or large component. Although manufacturing processes are often linked to the final quality of a part, both design and manufacturing are responsible for the final quality inherited by a part or component. If the quality is envisaged appropriately in the design procedure, the quality in manufacturing can also be ensured at lesser expenses and the cost of inspection reduces significantly. This leads to the concept of Design for Quality. (1) The DFQ process allows the engineer to identify, plan for and manage factors that impact the robustness and reliability of the products in the design process. (3) Improved and consistent quality of parts provide better appeal to the customers that obviously lead to greater stability of the manufacturing shops and can create greater amount of opportunities.